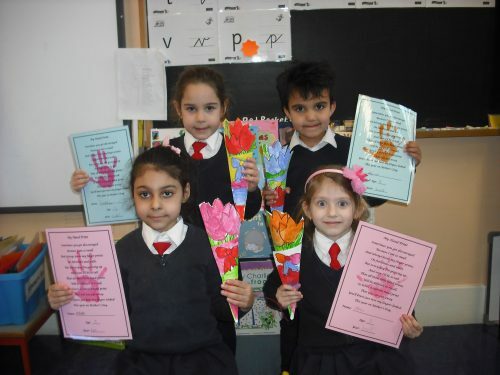 We are a Green School and we REDUCE, REUSE and RECYCLE. 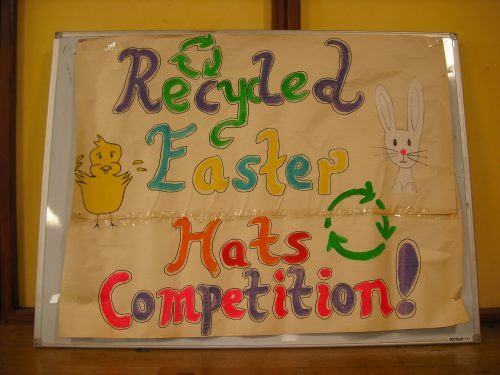 Every year we have a Recycled Easter Hat / Tie / Dickie Bow Competition. 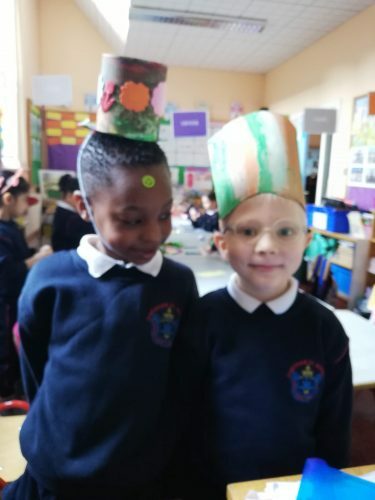 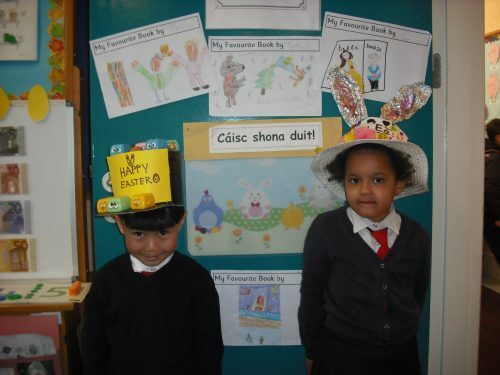 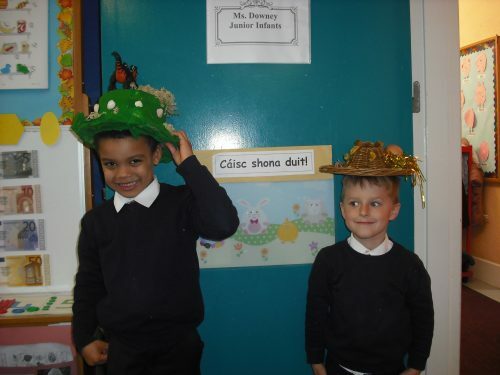 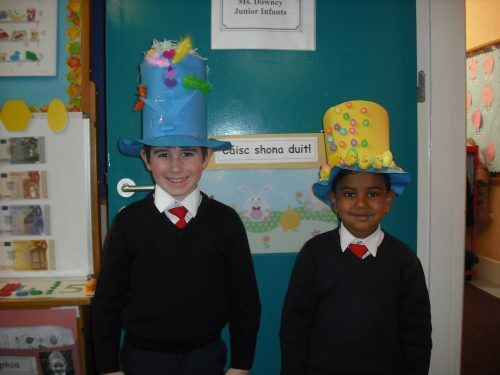 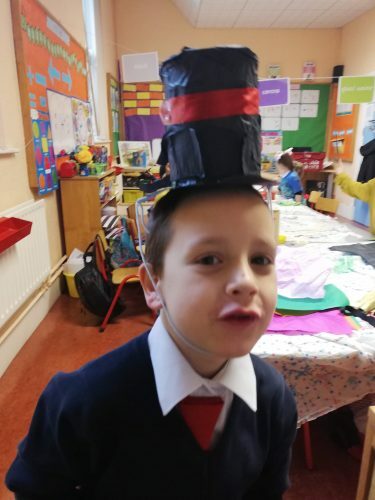 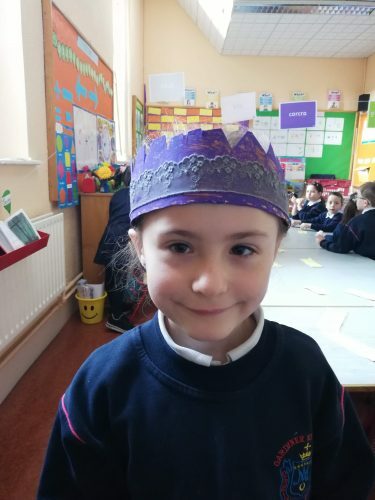 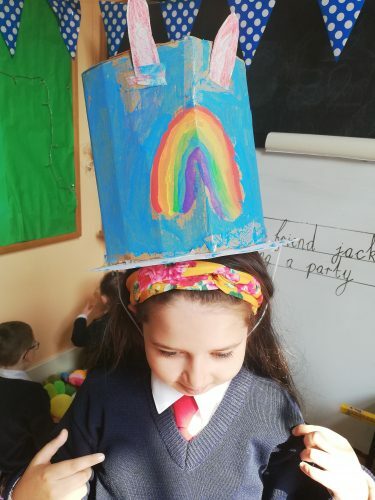 Some boys and girls in Ms. Downey’s Class made amazing hats at home. 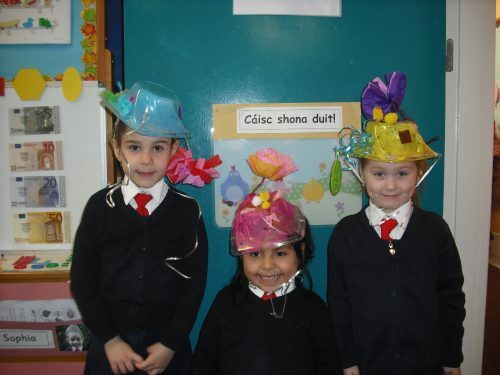 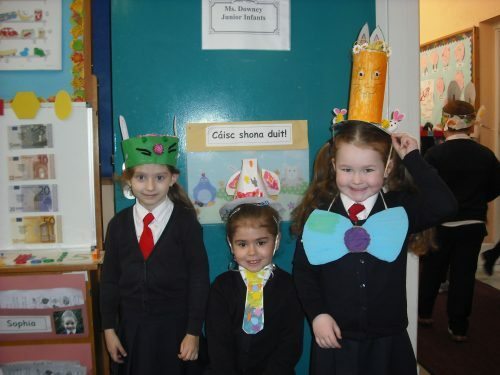 Others made hats in school using recycled salad tubs. 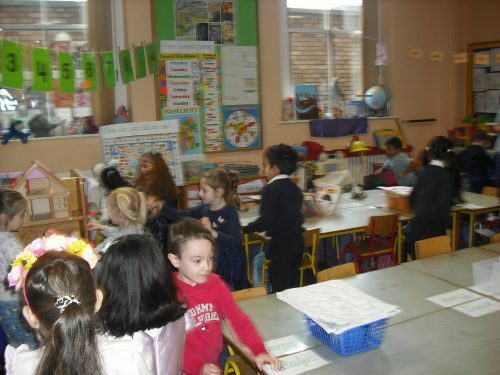 Ms. Cox was very impressed. 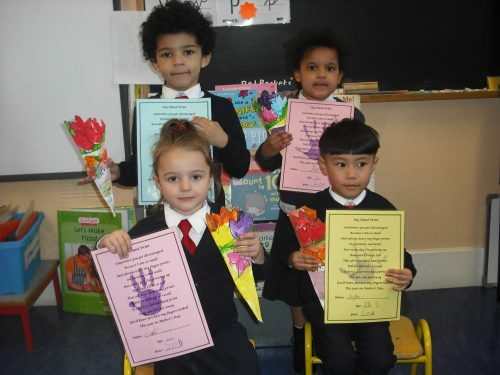 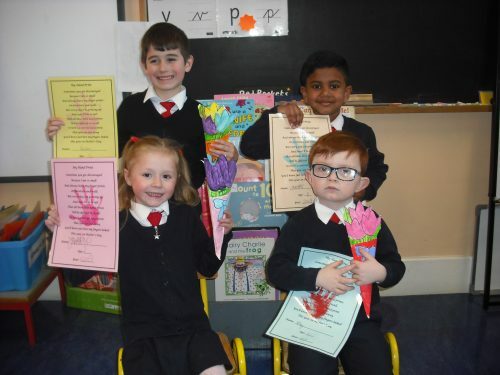 Glory, Daniils and Dylan won prizes. 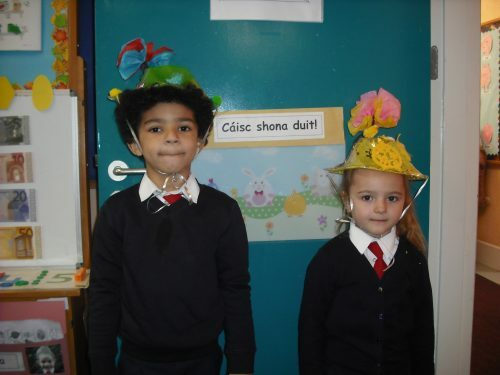 On the day of the holidays we were allowed to wear our own clothes to school. 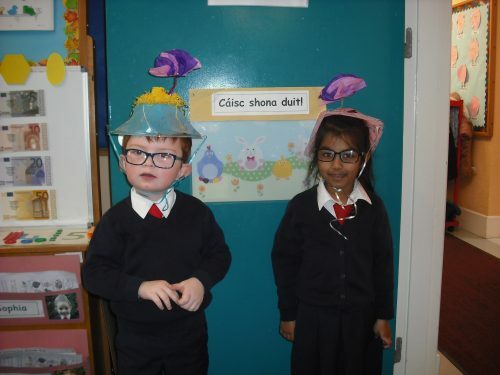 Didn’t we look great! 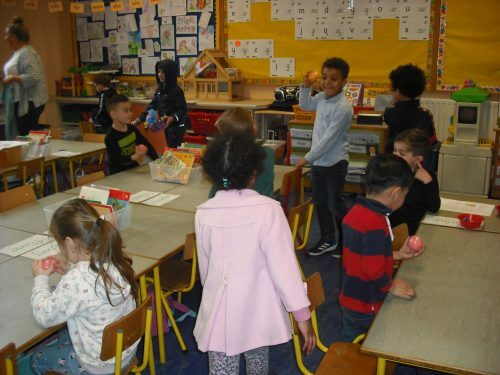 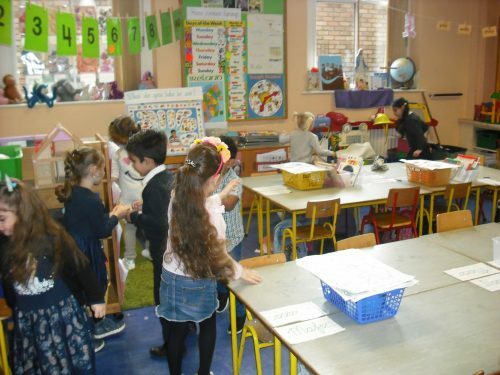 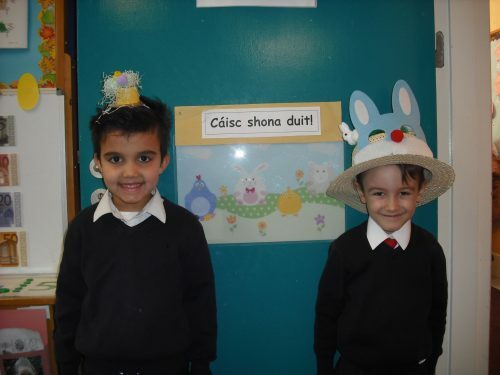 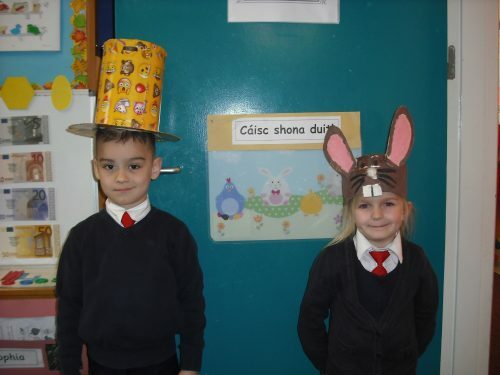 Here we are on our Easter Egg Hunt around the classroom. 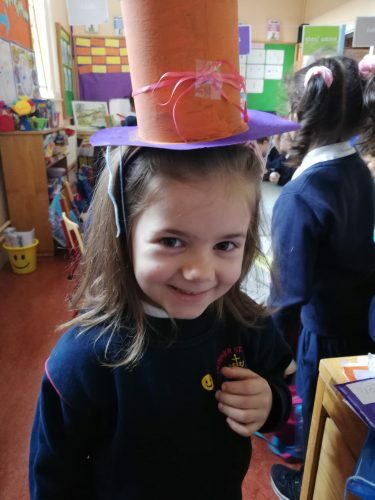 Cáisc shona daoibh go léir! 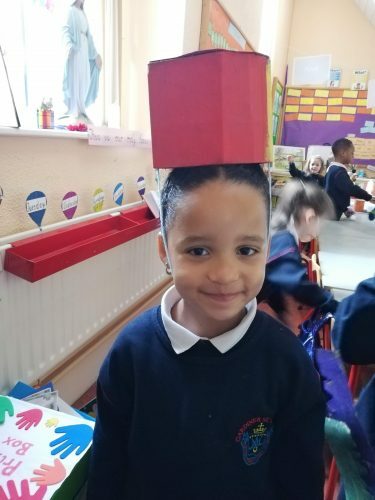 We used cereal containers, shoe boxes, paint, tissue paper and wool to put our hats together and we think they look great! 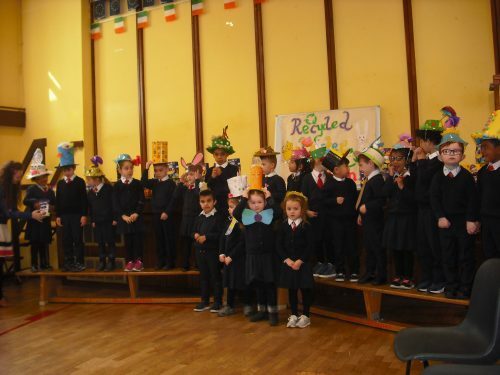 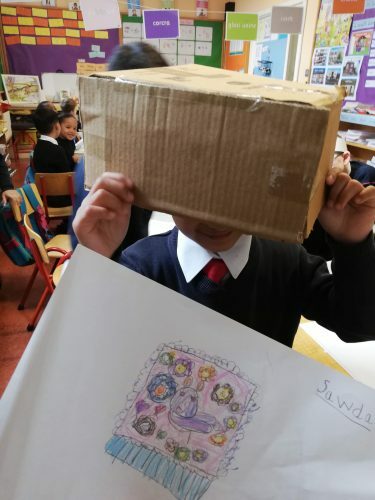 We then did a parade with the other classes to show off our hard work and see what wonderful creations the rest of the school came up with. 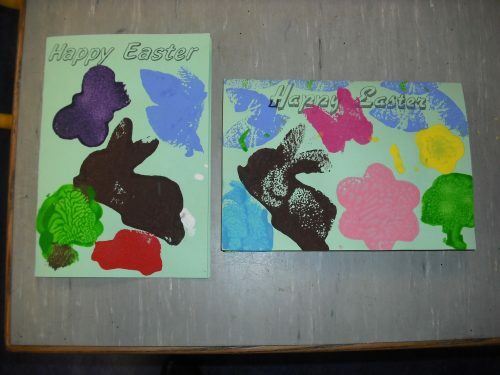 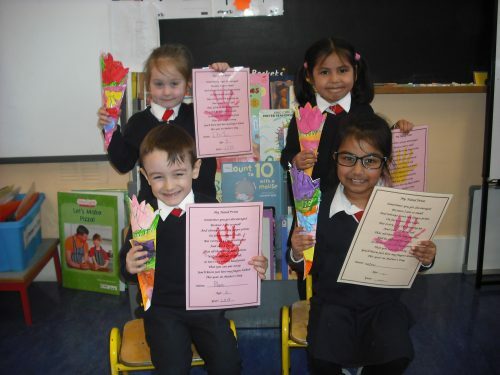 Congratulations to our winners (Bartosz, Rihanna and Abigail) and everyone who took part! 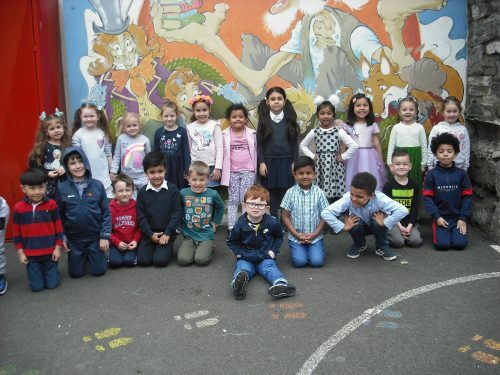 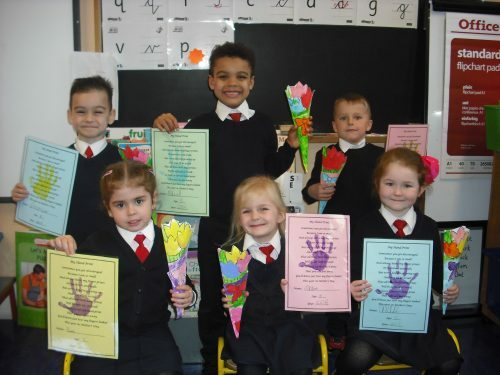 Ms. Downey’s boys and girls would like to wish all their wonderful Mammies a very Happy Mother’s Day.